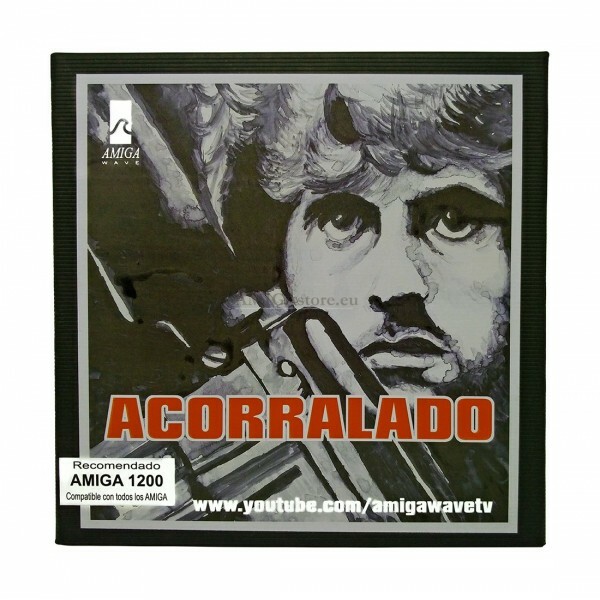 For any Amiga computer, Acorralado is one of the latest Amiga Wave productions, an exclusive side-scrolling game for the Amiga platform. 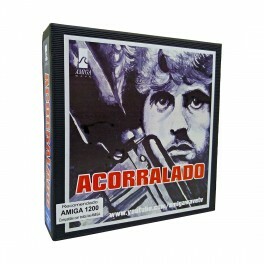 Acorralado is one of the latest productions of Amiga Wave, an exclusive side-scrolling game for the Amiga platform that recreates five moments of the film, reflected as five phases of this game: the police station, the streets, the forest, the mine and, finally, the police station again, but at night with a very careful aesthetic. 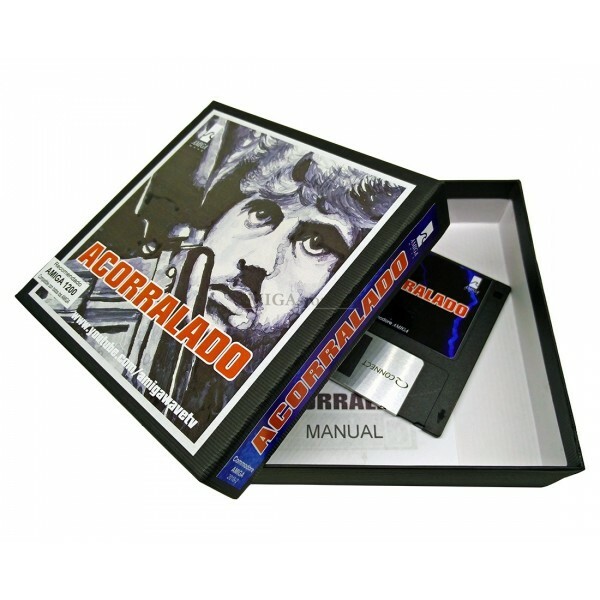 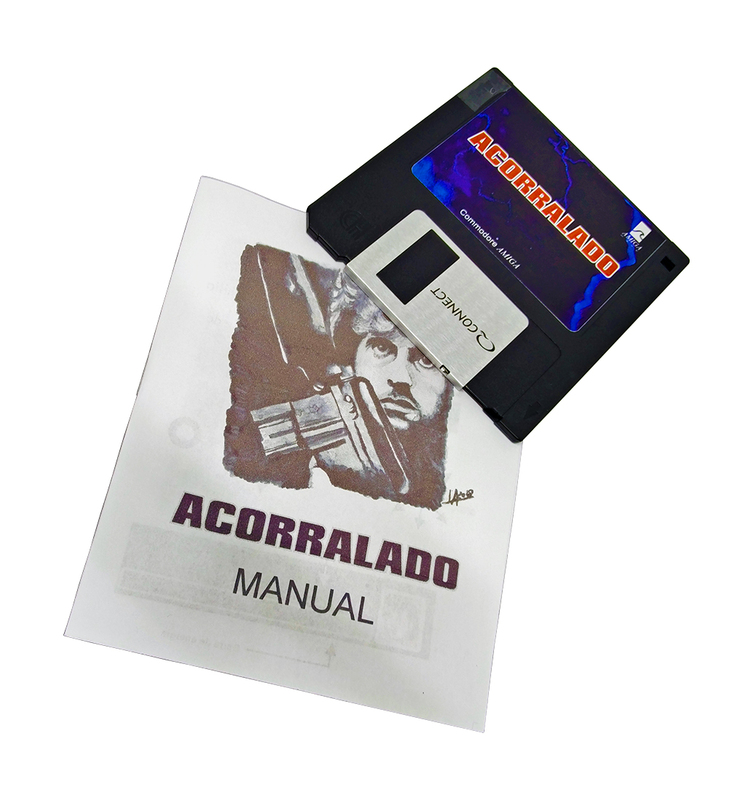 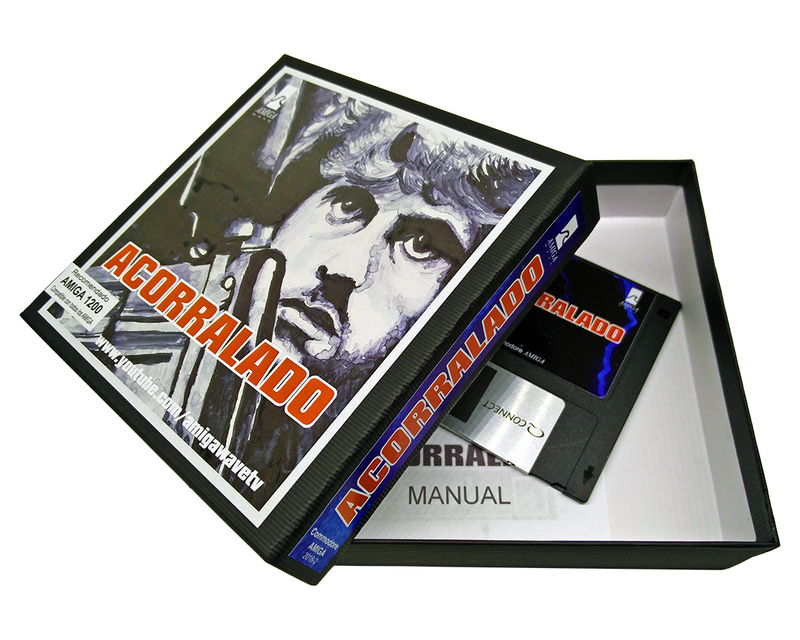 The game is recorded on a 3½" floppy disk with a small script with the description of the characters, different elements and animals that interact with John Rambo, as well as the different phases of the game. 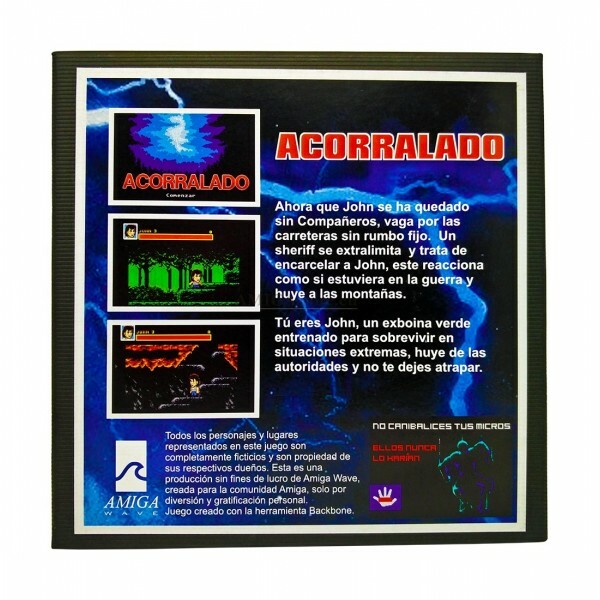 It's presented in a black collector's box, compact and with a high quality, with a great artistic development of the front and back, with very careful aesthetics. 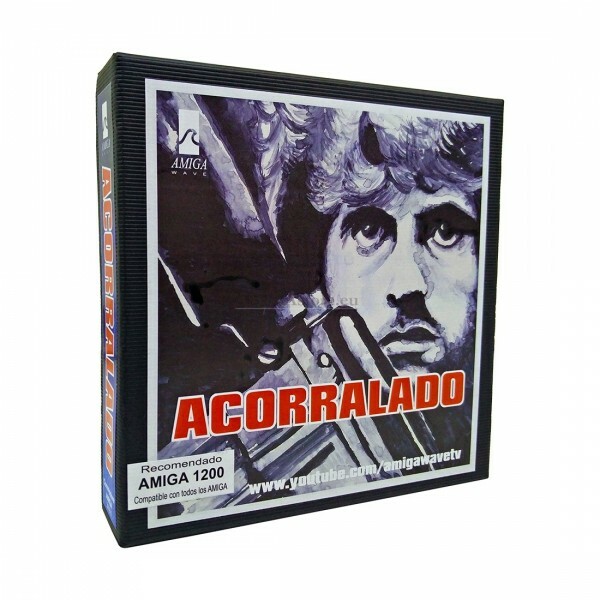 It works on any Amiga computer (it is recommended to use Amiga 1200 for the best gaming experience).